They have certainly turned heads here in Manchester and as myself and Lucy are quite partial to dinosaurs we knew we wanted to take the boys. 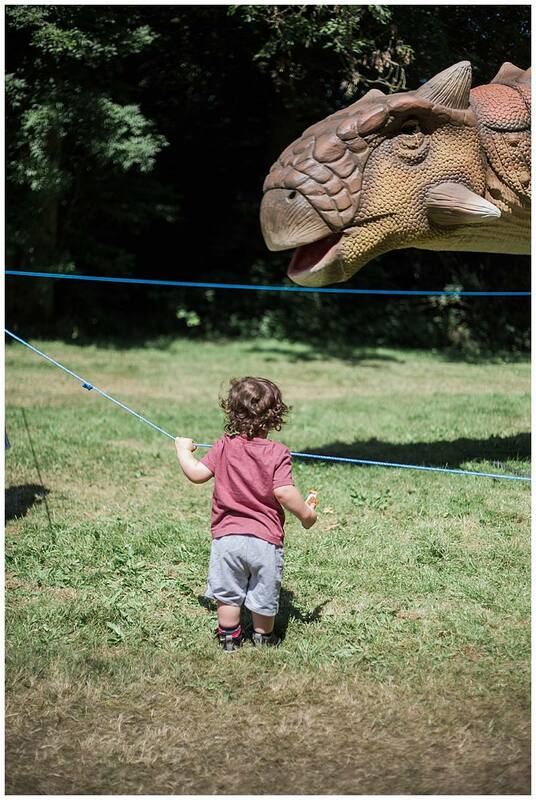 For those of you that don’t know, Lucy is so keen on dinosaurs that Theo’s middle name is Rex, therefore he IS, T-Rex!!! – Genius! We were a little dubious if the boys were too little and would run for the hills when they saw the dinosaurs, but they had a great day! 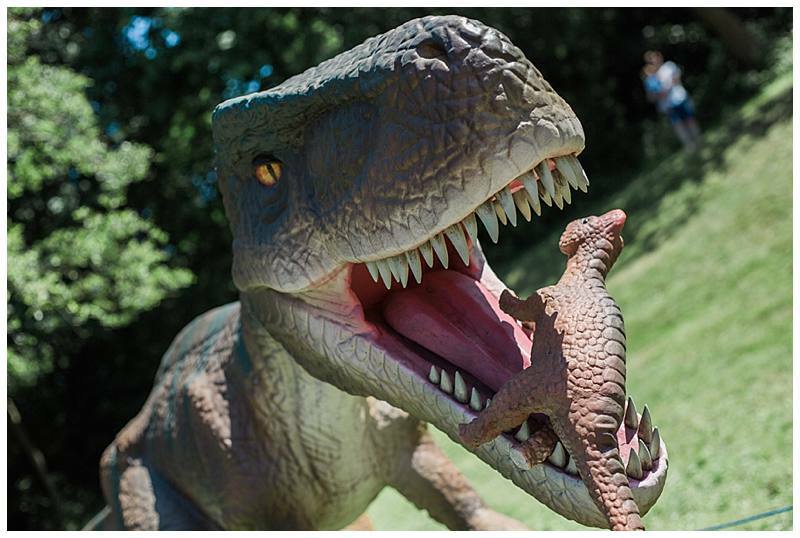 Neither of them seemed that phased by the 20 foot T-Rex that welcomed them as they entered and happily sat to have their picnic in the shadows of the great beast. Finley wasn’t keen on the ROARS at first shaking his head and said “No” but after we roared back at them he was fine. The dinosaurs are animatronic so their arms and tails can move, they roar and some, well their eyes even blink, making it feel like the dinosaurs have really come to life. As it was scorching we only lasted a couple of hours before they were sticky, tired and ready for home but we took plenty of water and sun cream. If it’s a rainy day it might put others off so you could have the place to yourselves with the dinos (every cloud has a silver lining). 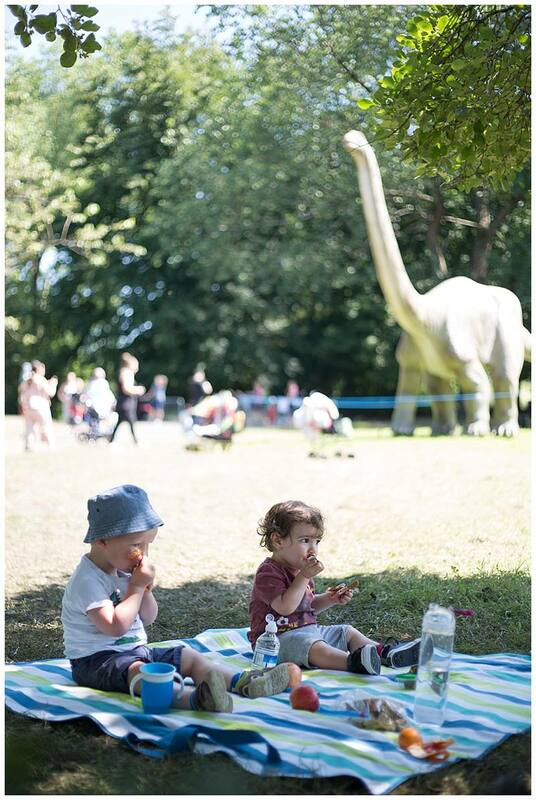 Although there are plenty of street food wagons, there was something quite nice about sitting down to have a picnic surrounded by dinosaurs. You can get dinosaur biscuit cutters for quite cheap on the tinterweb so they could have dinosaur shaped sandwich and have a themed picnic. 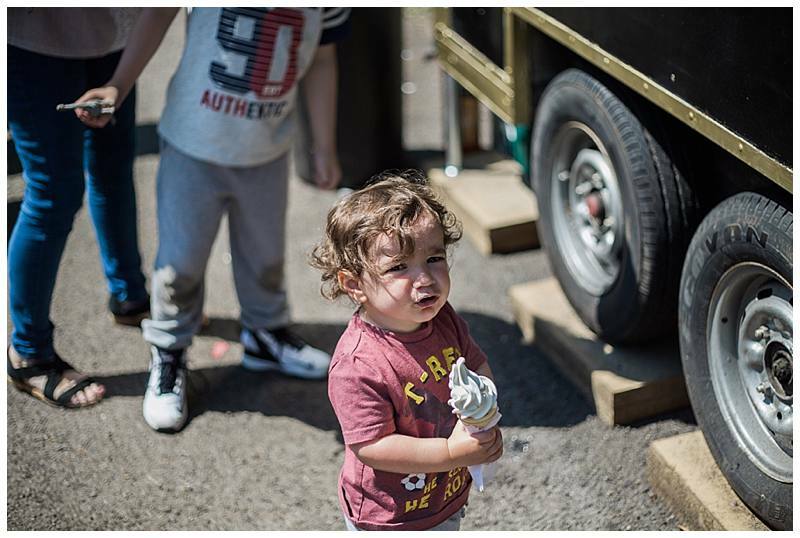 You can also treat the little ones to an ice cream and buy drinks as you go around. Although the kids go free under 3, the adult tickets are £13 on the door and we did look back and wish we’d have booked online for £11.50. Plenty of people told us they had applied a discount code so there must be some out there. I think it would have then felt like great value for money. 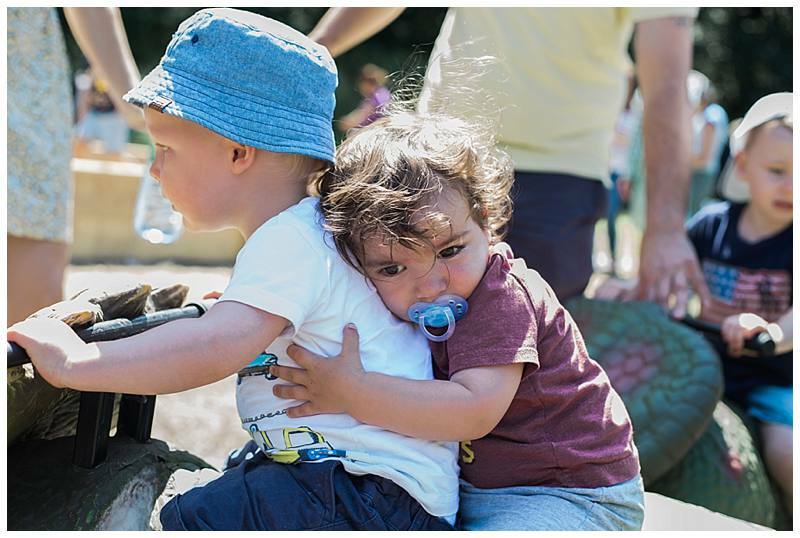 As parents, we already do that but spare clothes and plenty of snacks will come in handy if the kids just don’t want to leave and you end up staying there for the entire day. Once in the park you can stay for as long as you like so there is a chance this may happen. 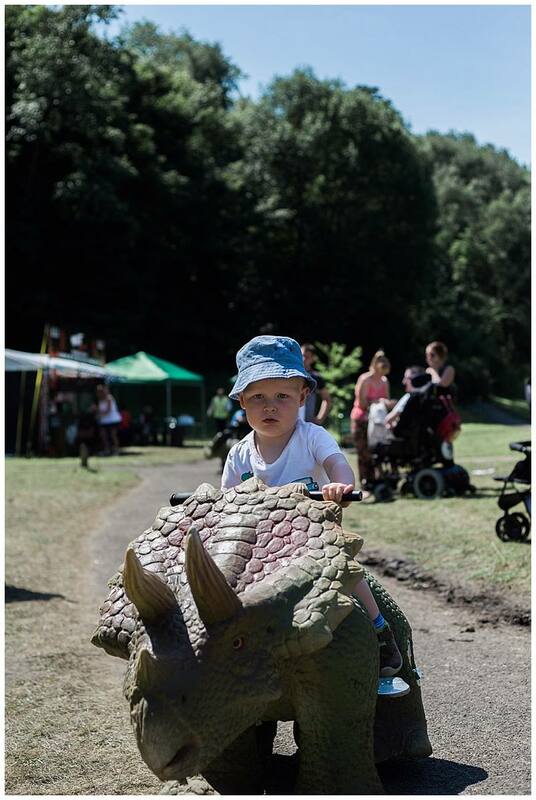 There were plenty of things for the kids to do from, riding on a small dinosaur, sitting in a dinosaur’s mouth, digging for bones in the sand pit and munching on an ice cream surrounded by dinosaurs. 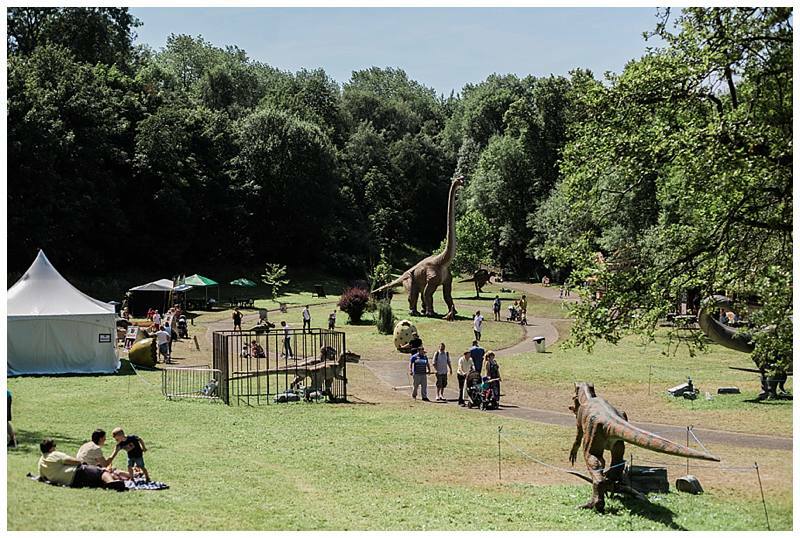 As Jurassic Kingdom set up in parks there’s the usual playground equipment they can go on afterwards too. 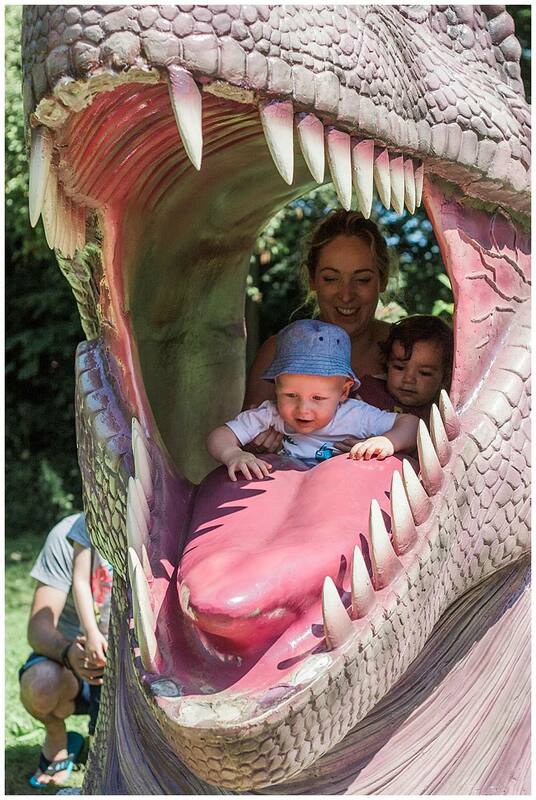 If you do go we hope you have a ROARsome time and don’t forget to share your pictures with us on Facebook or Instagram.